Liang, Shou-Yu was born on June 28, 1943 in the city of Chongqian, Sichuan Province, China. When he was six he began his training in Qigong, the art of breathing and internal energy control, under the tutelage of his renowned grandfather, the late Liang, Zhi-Xiang. 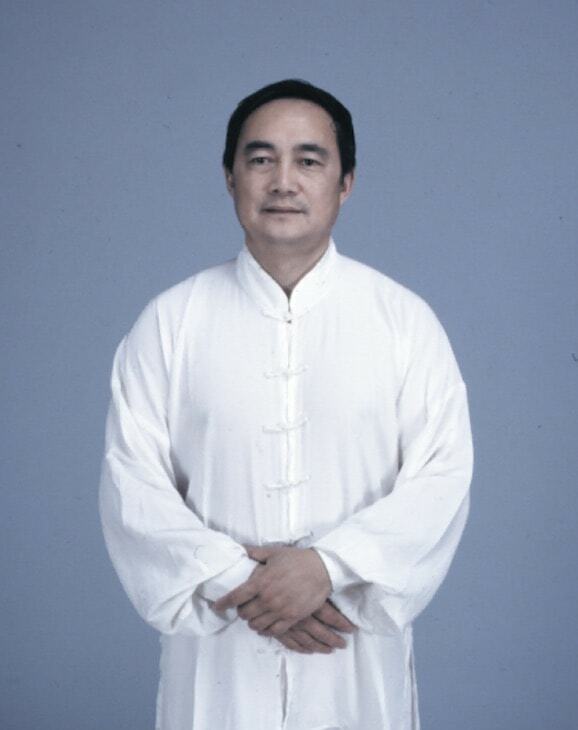 Mr. Liang was taught the esoteric skills of the Emei Mountain sect, including Da Peng Qigong. When he was eight, his grandfather made special arrangements for him to begin training Emei Wushu (martial arts). In 1959, Mr. Liang began the study of Qin Na and Chinese Shuai Jiao (Wrestling). From 1960 to 1964, he devoted his attention to the systematic research and practice of Wrestling, Wushu, and other special martial power training. In addition to the advantage of being born into a Wushu family, Mr. Liang also had the chance to come into contact with many legendary grandmasters. By the time he was twenty, Mr. Liang had already received instruction from 10 of the most well-known contemporary masters of both Southern and Northern origin, who gladly instructed and inspired this ardent young man. His curiosity inspired him to learn more than one hundred sequences from many different styles. His study of the martial arts has taken him throughout mainland China, having gone to Henan Province to learn Chen style Taijiquan, Hubei Province to learn the Wudang system, and Hunan Province to learn the Nan Yue system. With his wealth of knowledge, Mr. Liang was inspired to compete in martial arts competitions, in which he was many times a gold medalist in China. During his adolescence, Mr. Liang won titles in Chinese wrestling (Shuai Jiao), various other martial arts, and weight lifting. Through and beyond his college years, Mr. Liang's wide background in various martial arts helped form his present character and led him to achieve a high level of martial skill. Some of the styles he concentrated on include the esoteric Emei system, Shaolin Long Fist, Praying Mantis, Chuo Jiao, Xingyi, Baguazhang, Taijiquan, Liu He Ba Fa, Shuai Jiao, Qin Na, vital pointstriking, many weapons systems, and several kinds of internal Qigong. Mr. Liang received a university degree in biology and physiology from West-South National University in 1964. However, it was a time of political turmoil, and because of his bourgeois family background, the Communist government sent him to a remote, poverty-stricken area to teach high school. Despite this setback, Mr. Liang began to organize Wushu teams in the local community, and he trained numerous farmer-students in Wushu and in wrestling. Then came a disastrous time in modern Chinese history. During the years of the Cultural Revolution (1966-1974 A.D.), all forms of martial arts and Qigong were surpressed. Because he came from a bourgeoisie family, Mr. Liang was vulnerable to the furious passions and blind madness of the revolutionaries. To avoid conflict with the Red Guards, he gave up his teaching position. Mr. Liang used this opportunity to tour various parts of the country to discover and visit great masters in Wushu. He made friends with people who shared his devotion and love for the art. Mr. Liang went through numerous provinces and large cities, visiting the many renowned and revered places where Wushu was created, developed, and polished. Among the many places he visited were Emei Mountain, Wudang Mountain, Hua Mountain, Qingchen Mountain, Chen's village in Henan, the Cangzhou Territory in Hebei Province, Beijing, and Shanghai. In eight years he made many Wushu friends and met many great masters, and his mastery of the techniques and philosophy of the art grew to new horizons. At the end of the Cultural Revolution, the Chinese government again began to support the martial arts and Qigong. There was a general movement to organize and categorize the existing martial and internal arts. Research projects were set up to search out the old masters who were still alive, select their best techniques, and organize their knowledge. It was at this time that the Sichuan government appointed Mr. Liang as a coach for the city, the territory, and the province. Many of his students were among the top martial artists of China. In 1978 Mr. Liang was voted one of the top national coaches since 1949. He also received acclaim from the People's Republic of China Physical Education and Sports Commissions and often served as a judge in national competitions. After the Cultural Revolution, despite his many official duties, Mr. Liang continued to participate actively in competitions at the provincial and national level. Between 1974 and 1981, he won numerous medals, including four gold medals. His students also performed superbly in national and provincial open tournaments, winning many medals. Many of these students have now become professional Wushu coaches or college Wushu instructors. Some of his other students have become Wushu trainers in the armed force or have become movie actors in Wushu pictures. In 1979, Mr. Liang received several appointments, including a committee membership in the Sichuan Chapter of the China National Wushu Association and an executive membership in the Wushu Coaches Committee. 1981 marked a new era in the course of Mr. Liang's life, when he first visited Seattle, Washington in the United States. His art impressed the Wushu devotees immediately, and the Wushu and Taiji Club of the University of Washington retained him as a Wushu Coach. In addition, Mr.Liang offered lessons at the Taiji Association in Seattle. The following year, Mr. Liang went north to Vancouver, Canada, where he was appointed Taiji Coach by the Villa Cathy Care Home, and Honorary Chairman and Head Coach by the North American Taiji Athletic Association. In 1984, Mr. Liang became Chairperson and Wushu Coach for the School of Physical Education of the University of British Columbia. In 1985, he was elected coach of the First Canadian National Wushu Team, which was invited to participate in the First International Wushu Invitational Tournament in Xian, China. Competing against teams from 13 other countries, the Canadian team won third place. In 1986, Mr. Liang was elected coach of the Second Canadian National Wushu Team, which competed in the Second International Wushu Invitational Tournament held in the city of Teinstin, China. This time, 28 countries participated, and the Canadian team earned more medals than any other country except the host country itself. Mr. Liang's role and achievements were reported in 14 newspapers and magazines throughout China, and the performances and demonstrations of Mr. Liang and his team were broadcast on Sichuan television. Mr. Liang has not limited his Wushu contributions to Canada. He has given numerous lectures and demonstrations to Wushu professionals and instructors in the United States. Adherents of many disciplines, including Karate, Taiji and others, have benefited from Mr. Liang's personal touch. In addition to instructing in such cities as Houston, Denver, Boston, and New York, Mr. Liang was invited to several cities in Italy for seminars in 1991. Mr.Liang has also judged in the National Wushu Tournament in the United States and has produced an instructional video program teaching Liangong Shr Ba Fa Qigong in conjunction with the Chinese National Qigong Institute. Mr. Liang has devoted more than 45 years to training and teaching Chinese martial arts and Qigong. Master Liang, Shou-yu resides in Vancouver, Canada.